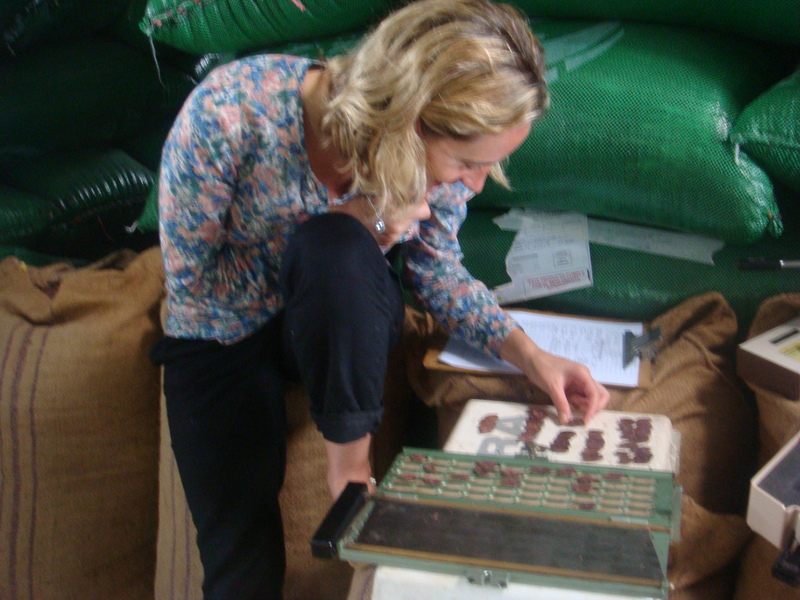 Now that the cacao beans have undergone each of the three important processes to becoming a good quality bean, it is time to assess the actual quality of the beans. 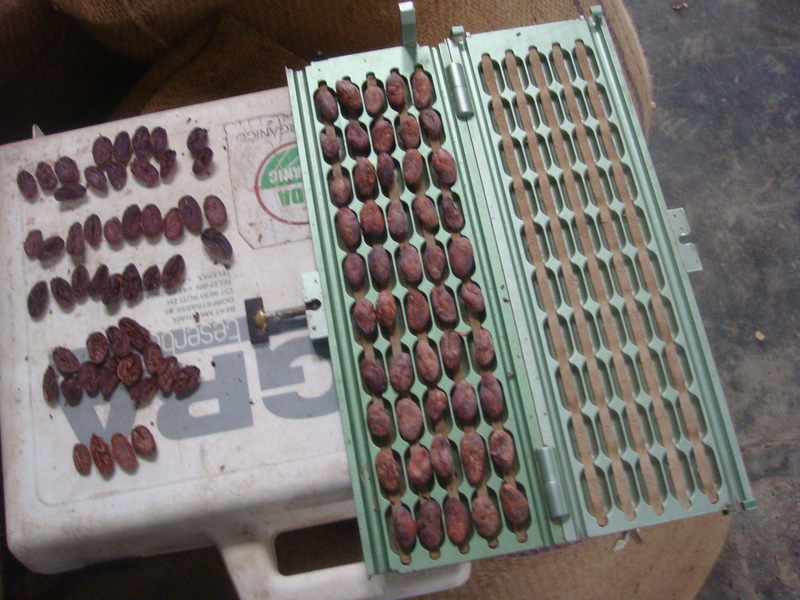 This is done through the “cut test”, where the cacao beans will be graded according to the number of well fermented and defective beans that appear in the sample test of the chosen batch for export. 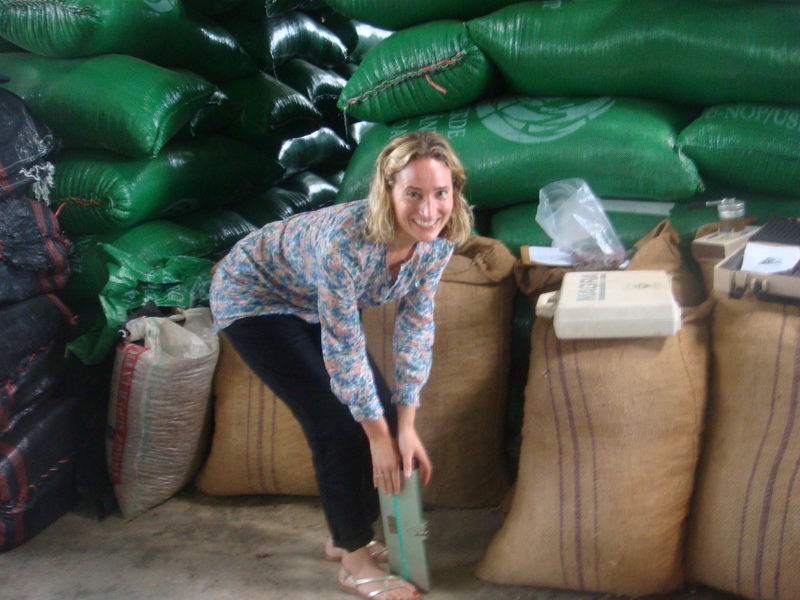 In order to do the cut test, the first thing that I need to do, is to randomly pick a handful of beans from each jute sack coming from the selected batch. As I place the beans in a plastic bag, I am told to shake the bag, to make sure that all the beans from each sack are well mixed, and that there is a fair representation. It is from this bag, that I will then take a handful of beans, weighing 100 grams in total, the equivalent to 50 beans, to be used for the cut test. The “cut test” machine looks very similar to a guillotine, except thankfully only made to cut beans in half! as the beans are cut lengthwise through the middle, I am able to examine the inside of the bean. As I examine the halves of each bean, I need to identify, separate and count the defective beans. 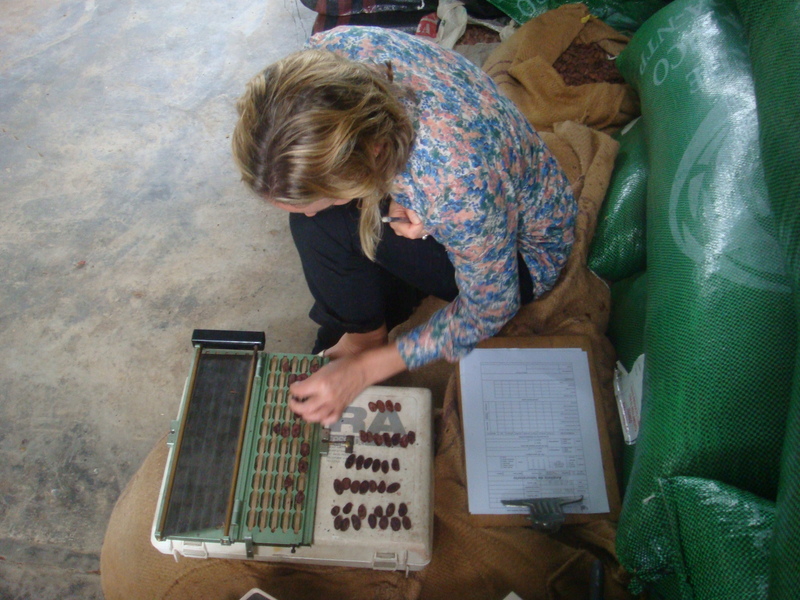 Each defective bean is then grouped and counted, and is calculated as a percentage of the total amount of the beans examined. Ideally 85% of the sampled beans need to show well-fermented beans. 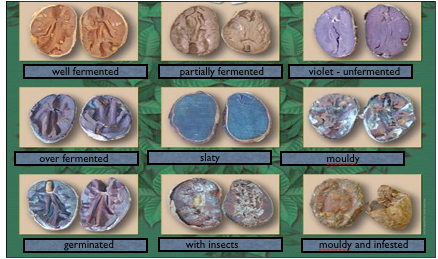 Defective beans include slaty, insect damaged, flat beans, over-fermented and mouldy beans. According to international standards mouldy beans should not exceed 3%; slaty beans should not exceed 3% and insect damaged, germinated or flat beans 3% by count. The illustration below shows the different types of defects seen in the cut test. I must admit that at first it is not so easy to identify the defective beans, but as I begin to cut test several samples, I begin to get the hang of it. In the batch that I sample, I identify quite a few violet beans which are the unfermented beans, as well as a few “criollo” beans, which are of a lighter brown colour. In this cooperative, both CCN-51 and Criollo beans are mixed together during the fermentation process. 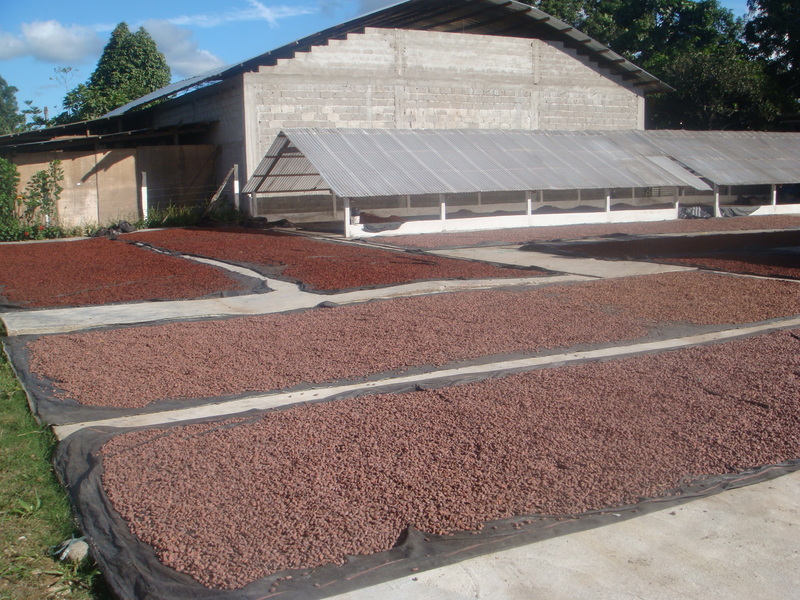 This is mainly because the cacao farmers grow both types, but the CCN variety tends to predominate because of its favourable production levels. 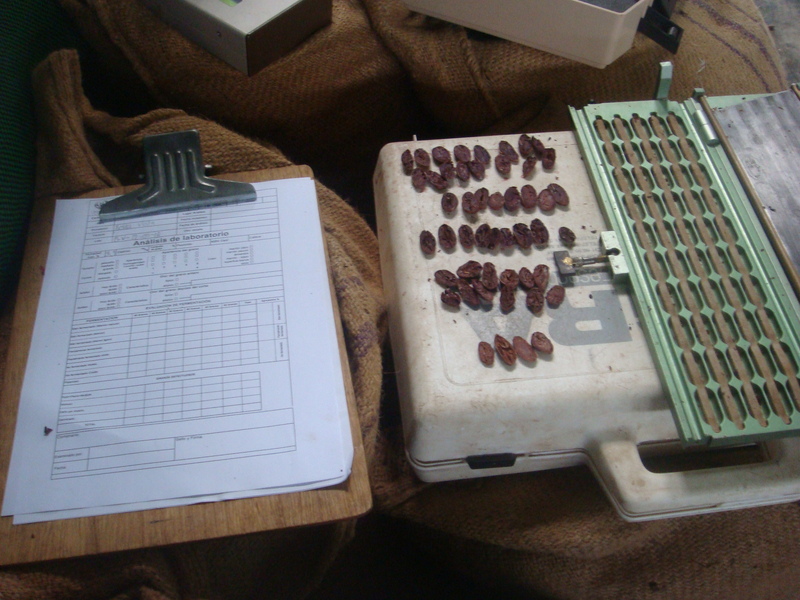 Once the sample test has been completed (I do two of them to make sure that it is a fair representation), I then need to work out the percentage of each of the defective beans. In this batch, 75% beans are well fermented. 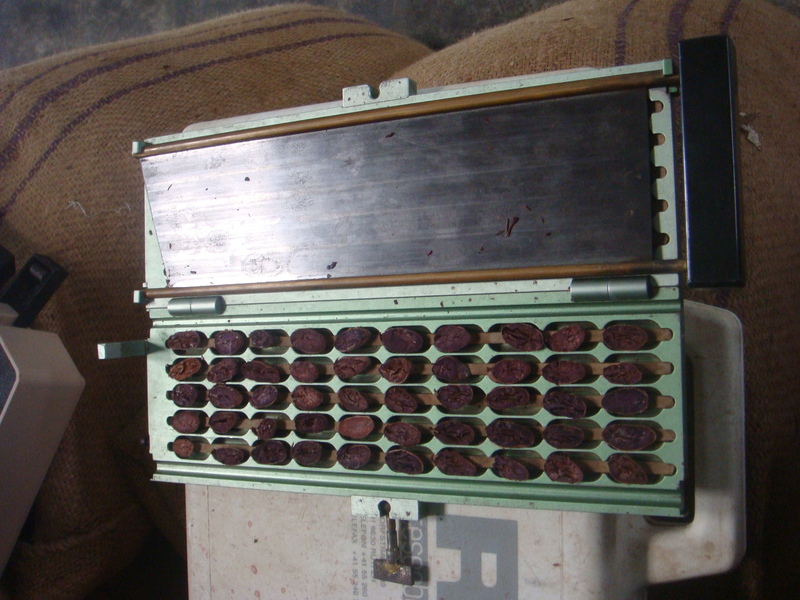 Ideally for a Grade 1, the result needs to reflect that 80% of the beans have been well-fermented. 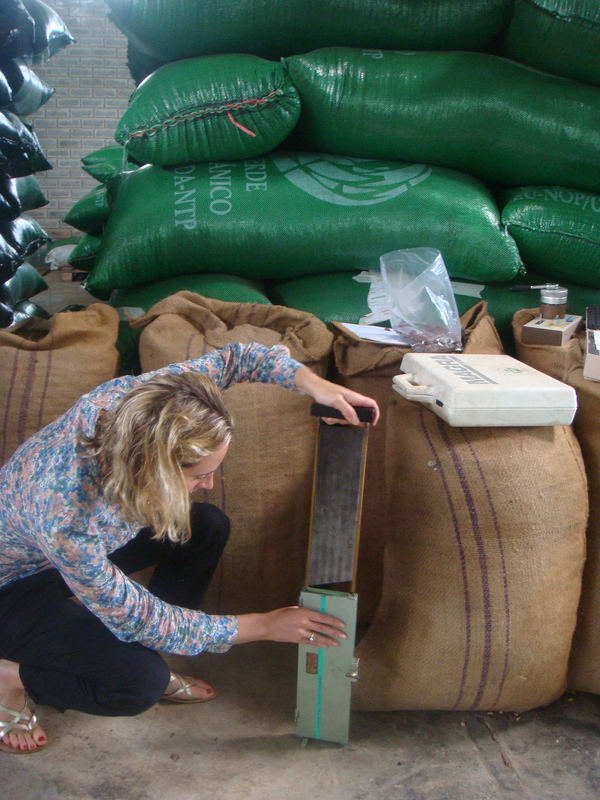 The second instrument that is used to assess the quality of the beans is the hydrometre. This will enable me to measure the moisture levels of the beans. 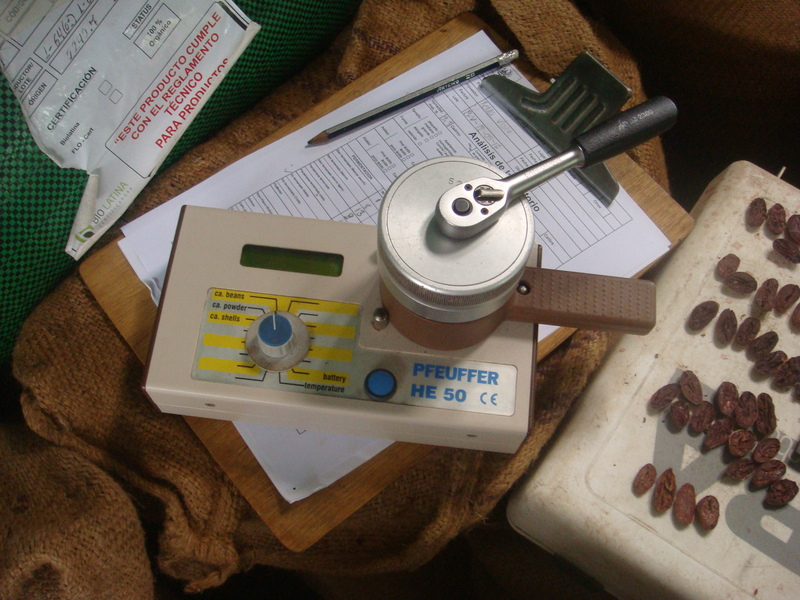 In order to measure the humidity of the sampled beans, I place about 5 to 10 beans in the hydrometre. As the beans are ground, the hydrometre measures the moisture percentage of the beans which ideally needs to be at 7%, in other words the water content of the beans needs to be 7%. If the beans show a higher percentage, then it means that the beans need to be dried for another 45 to 90 minutes in the sun so that the water content of the beans is reduced to 7%. can i ask for the cut test machine or equipment where can we buy? 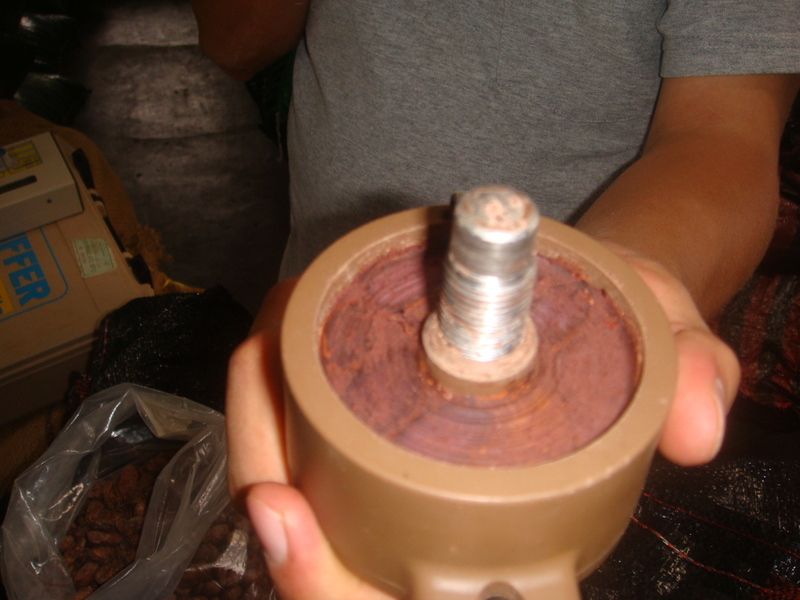 can i ask for the cut test machine for cacao seeds and how much is this?